Jess Technology has been successfully servicing industrial electronics out of various types of manufacturing plants nationwide. 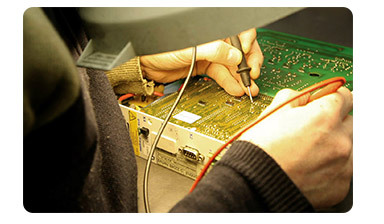 With more than 20 years average experience, we are confident that we have the skills and knowledge to service all of your electronic repair needs. In all businesses, time is money – especially when your items are in need of repair. That’s why Jess Technology prides itself on both quick response and turnaround times on items.